Overwatch PC players can try out the new Symmetra, along with a couple of other trial features. The Overwatch PTR is open again, allowing PC players to help test out Blizzard’s latest proposed changes. 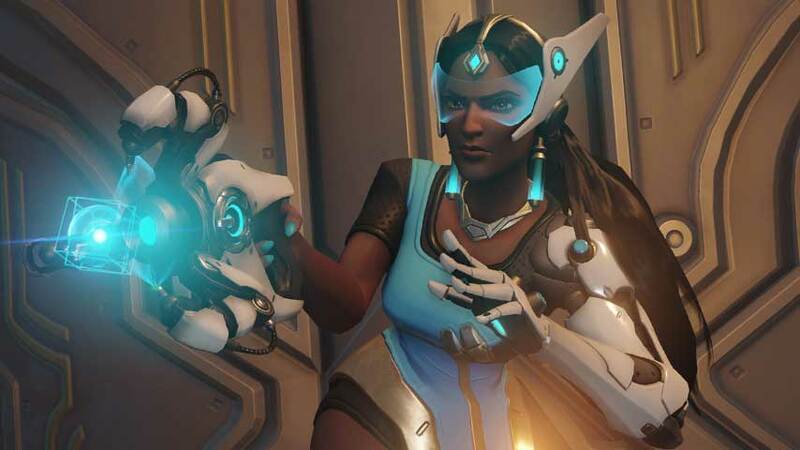 The biggest news is of course the overhaul to Overwatch’s most troubled hero, Symmetra, which leaves her with two ultimates. Let’s hope this redesign brings her into more active rotation. Blizzard said it replaced Symmetra’s passive ability, Photon Shield, with a more active one – Photon Barrier. This means she can “lead the charge on offense or help shut down a big push on defense by actively blocking damage” for your Overwatch team. The addition of a second, alternate Ultimate ability, Shield Generator, is designed to make Symmerta useful in more scenarios you’ll encounter in Overwatch. Blizzard has noticed players switched away from Symmetra except in very specific situations. Symmetra players can now build turrets faster, and a rebalance of the Arc Welder makes it easier to build and maintain charge. All in all, the changes make Symmetra more useful, reflecting her role in the Overwatch canon (as well as improving balance). That’s not all the patch does, of course. Zarya has had a bit of a tweak, too, and bowing to Overwatch fan pressure (and doing what it should have done in the first place), Blizzard has added a “Boop” voice line for Sombra. Oh yeah and there are more options for custom game modes and the ability to choose “stay as team” when you find some good randos – assuming they like you back. Here are the full patch notes. For details on how to sign up for the PTR, visit the Overwatch blog. As ever, many of these change are intended for all platforms but some may be PC only – and there’s no guarantee these changes will make it off the Overwatch PTR and into the live build as is, or even in adjusted form. It is a test server, after all.